At Amber Leaf Publishing the Author comes first. We take pride in working directly with each Author, welcoming their input and ideas in all aspects of the publishing process. We continually promote our Authors through blog tours, author events, and a widespread marketing platform. Our goal is to walk with our Authors on their road to success. Our team of authors, editors, and graphic artists will help make your publishing dreams a reality. We may be a small press publishing company, but we think BIG! We do not offer cash advances. In lieu of this you will receive higher royalty rates and will start receiving payouts much faster. We also pay royalties per month, in accordance with our distributor's royalty statements. When we get paid, so do you! Amber Leaf Publishing will also provide reporting on your royalties and the books we’ve sold for you. It’s your money. You have a right to know. Authors will be provided with twenty free copies of their Work, and receive a discounted rate on addition copies they wish to order. There are no restrictions on what you can do with these; you may use them for promotion, gifts, direct sales, etc. 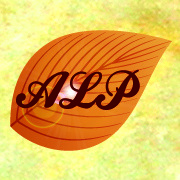 Amber Leaf Publishing will also work with you to set up your marketing platform. Websites, Facebook pages, Twitter accounts, etc. We will actively market you and your books using all the resources available to us.